The Note 7 was one of the last year's hottest phones. And not in the good way. In the aftermath of Samsung’s exploding Galaxy Note 7 debacle, the South Korean government is set to make it mandatory for manufacturers to report instances in which their handsets burst into flames. “When the new rules come into effect, phone makers will also have to immediately launch an investigation — right after the submission of the report — to prove if the fires or explosions were caused by flawed parts or external force,” an official from The Ministry of Trade, Industry and Energy is quoted as saying. Samsung’s exploding Note 7 handsets were one of the biggest tech stories of the last year, and has caused the company a severe blow in terms of its reputation. 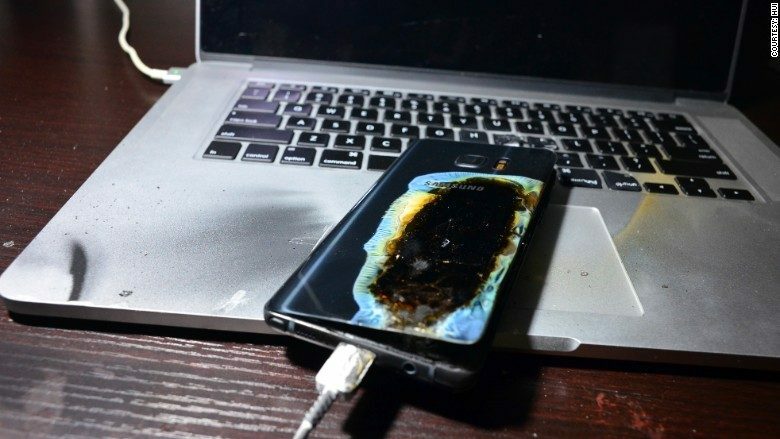 Initially celebrated as a great device by the tech press, it didn’t take long for reports to emerge revealing that an exploding Note 7 had torched one family’s jeep, while another handset caused the evacuation of a Southwest Airlines flight after a passenger’s Note 7 emitted a thick grey-green smoke and burned a hole in the plane’s carpet. Samsung issued a worldwide recall of the devices, only to find that the replacement units it issued also caught fire. It ultimately cancelled the Note 7, bricked the remaining units, and issued a full page apology in the newspaper. Despite moving relatively quickly, however, today’s report notes that it took Samsung 10 days to report the first instances of exploding Note 7 handsets to the government. It was perfectly entitled to do this, due to the fact that previously there has been no timeframe requirements for notifying the authorities. Today’s report also claims that an official government-led investigation into the reason for the exploding Note 7 handsets came to similar conclusions to those found by Samsung. Samsung’s own internal investigation pinned the blame on two separate problems with the handsets’ lithum-ion batteries — one problem affecting the first units the company released, and a second issue affecting the replacement units Samsung rushed out.